Relax and unwind with the floral blend of lavender, chamomile, jasmine and bergamot crafted to soothe , relax and aid sleep. Cornflower, chamomile, calendula and jasmine flowers float on the bath surface for a truly flower filled bathing experience. This blend of flowers is designed to relax and soothe the body and soul. Chamomile, lavender and bergamot help relieve stress and anxiety as well as encouraging sleep. 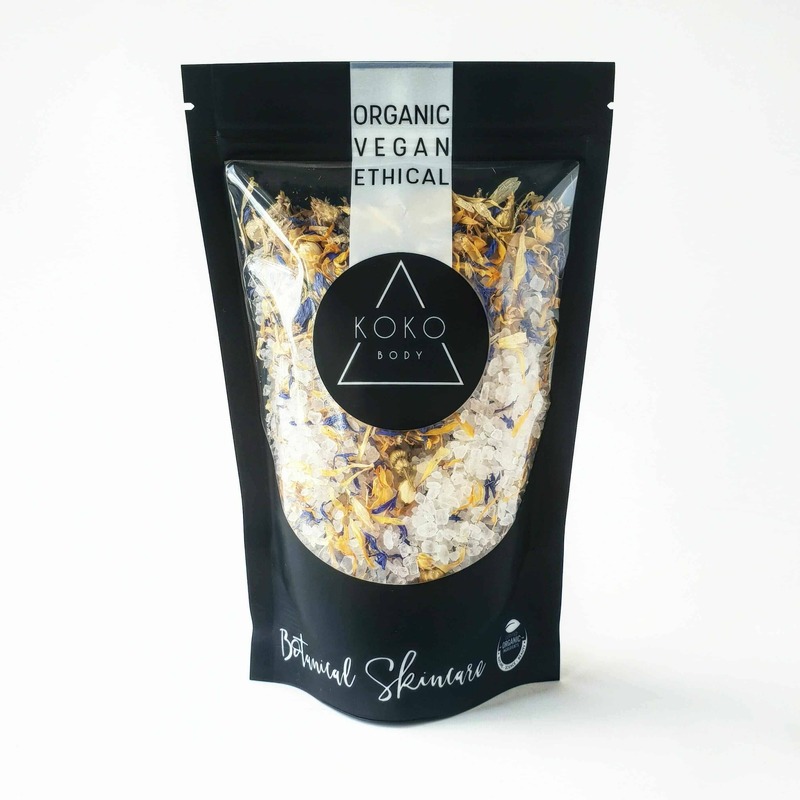 Cornflower helps ease tired muscles and Jasmine promotes a feeling of well being and calmness. Himalayan salt crystals are mineral rich and help give tired skin and bodies a boost. Scoop quarter of a cup of salt in a hot bath letting the salt disolve. Water will infuse with the oil and petal mix. Don’t have a bath? No problem I make a beautiful foot soak. Just add a handful to a basin or bowl of hot water and soak feet as long as desired. The perfect Self Care Sunday ritual when combined with one of our botanical blend face masks.